Firstly, the professional flower essence producers possess a rare attunement with the plant kingdom, and ‘receive’ information on the purpose of each type of flower. There are also some general guidelines involving the signatures of shape and colour. Significant testing is then carried out, sometimes for years, to correlate the intuitive understanding with the clinical results. In terms of diagnosis, a variety of methods have been devised by practitioners around the world, for determining the most effective flower essence or formula for your immediate requirements. Some more orthodox than others, some intutive, and some systematic. These methods can include the use of a pendulum (radionics), kinesiology (biofeedback from gentle muscle testing), flower cards (used in a similar way to Tarot), various types of counselling, and astrological birth chart appraisals. Only those last two methods require a profound knowledge of the qualities offered by each of the individual flower essence remedies. I offer a private, confidential session for you, which can involve a quick on-the-spot appraisal of your basic on-screen astrological birth chart for clarification of the issues you are wanting help with, or qualities you are looking to enhance. Unlike my comprehensive astrological sessions, this session doesn’t involve any prior research of your chart, but helps me to check in real-time for any significant patterns. The formula designed for you during this brief session is not meant to be a ‘constitutional’ formula, but rather flower essences that can help for an immediate issue. And even though astrology is not absolutely necessary for this session (especially if you are aware of the issues you are facing or the personal qualities you are looking to enhance), checking your basic astrology chart in this way can help to negate any subtle self-sabotage on your part, even during a personal session. In any case, there is no extra charge for me taking a quick look at your basic chart during your session. It’s up to you. 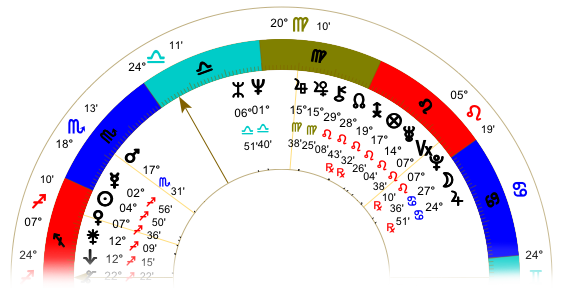 And please note that knowing your birth time is necessary for the accurate calculation of your chart. These 30-minute flower essence dialogue sessions are by appointment only (the extra time after your session, for dispensing your dosage bottle, has already been factored into the regular price of each bottle of essences). Prefer to Choose By Yourself? If you prefer to choose your own blend of my formulas, rather than book a session, I have made this process a little easier for you by grouping my stock formulas into relevant Collections, so you can find what you are looking for; and by adding descriptions for each formula within each Collection. You’ll find these on the Flower Essence Formulas page of this site. You can email me with your choice and I’ll get back to you asap. Also, if you have access to stock from any of the professional flower essence ranges that I’m familiar with (see my Professional Ranges page), you can book an Essence Session where I help you to design a personal formula that you can dispense for yourself. Of course, in this case there is only a consultation fee without the cost of the bottle of flower essences. My brief flower essence sessions for you are not recorded, though you are welcome to record the session on your own device for your personal record. Where the above methods are not convenient, email discussions are also available for brief consultations at the 15-minute rate (see Fees & Pricing button below). There is no time-charge or consultation fee if you place a specific order for the formula or combination of formulas you require via a quick email. The same goes for ordering a repeat bottle of your previous formula: no added consultation fee there, either.